All of our machines and products used are state of the art and professional grade. We scrub, clean, and seal all floor surfaces, to include, carpet, tile, concrete, vinyl, and natural stone. Your carpet is one of the largest investments in your office. It should be taken care of by professionals. At TruRenew Clean, we offer two methods of carpet cleaning. We use either a truck mounted steam carpet cleaning system, or cold water solution/extraction, using powerful and professional portable machines. Whichever method of carpet or upholstery cleaning you select, our prices always include per-spray, spotting, cleaning and deodorizing, with no hidden charges. The price you are quoted prior to our starting any cleaning, is the price you are charged. 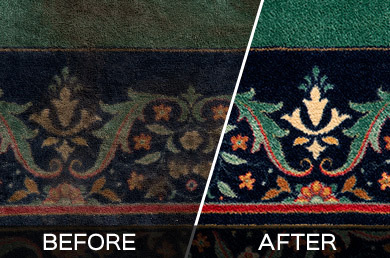 Let us help you return your carpet or upholstery to what you first had when it was new. Clean, shiny, and well kept floors tell your customers and clients that you care about your professional image. 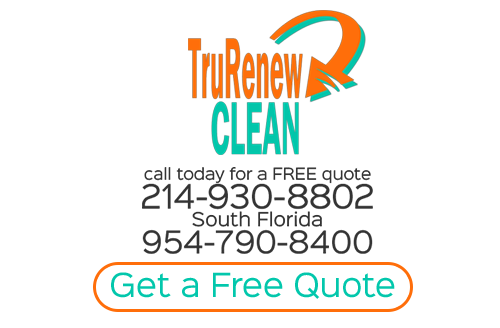 At TruRenew Clean, our technicians have over 15 years combined experience in the floor care business. We know how to pay attention to the little things when stripping, scrubbing and re-finishing your floors. We are sensitive to corners, the edges along baseboards and other areas where dirt and grime can collect. We complete monthly or quarterly scrub and re-coats to remove scratches on the floor finish so it is restored to "like new" condition. We pre-spray the grout and tile to begin the process of loosening that deep down grime. We then use hot water and steam on the tile and grout to remove the dirt. 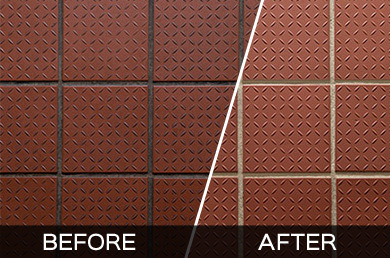 This leaves your tile and grout in a fresh, clean condition. TruRenew Clean scrubs, cleans and seals concrete, natural stone and other hard floor surfaces as well. As our motto says, "If you walk on it, we take care of it". If you are looking for commercial floor cleaning services in the greater Plano, TX area then please call 214-930-8802 or complete our online request form.